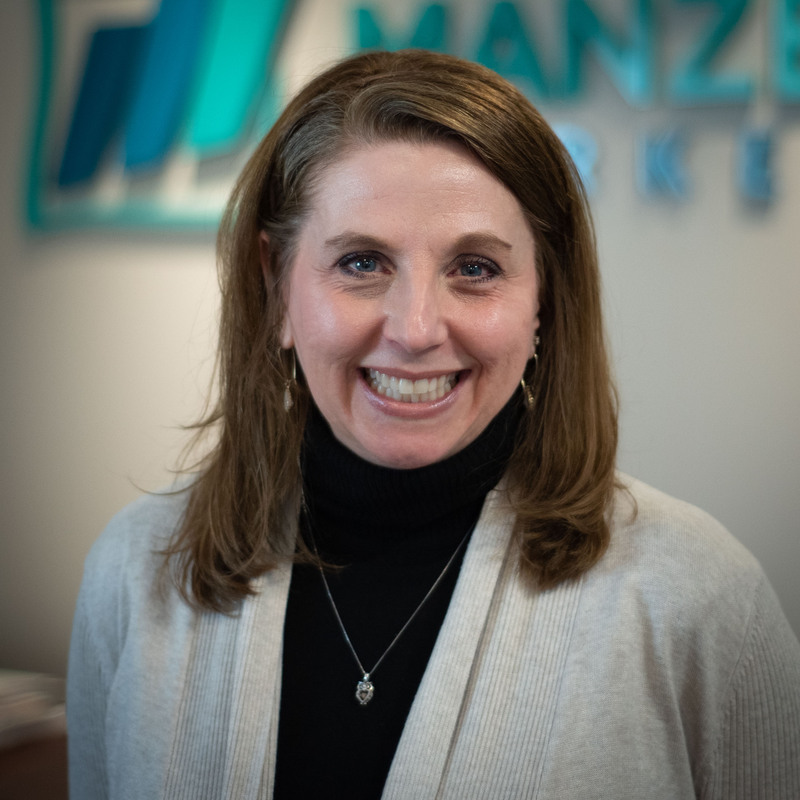 Denise joined Manzella as our Office Manager in January 2017. She has worked in the Human Resources field since 2003, most recently serving as Director of HR at DataSol, Inc. In addition to her HR duties, she performs accounting, payroll, and administrative office functions. Prior to 2003, she worked for Marriott Hotels Corporate Hospitality and other various businesses for over 10+ years. Denise earned a BA in Communications from Old Dominion University, and her Professional HR Certificate (PHR) and HR Management Certificate at George Mason University-Loudoun. Denise is originally from Clinton, Maryland, but moved to Northern Virginia in 1977 and resided there until 2013. She currently lives on a family farm in Akron, NY with her husband, Todd, sons, Michael and Matthew, and four little Shih tzu dogs. Denise's son Michael is currently enrolled at Rensselaer Polytechnic Institute, and her son Matthew is a student at Akron High School. These boys certainly keep her busy, with both of her sons playing hockey for their respective schools, and her husband owning two local businesses. Denise is a member of SHRM, the Amherst and Clarence Chambers of Commerce, and the Chi-Omega Alumnae Buffalo Chapter. Connect with Denise of LinkedIn.